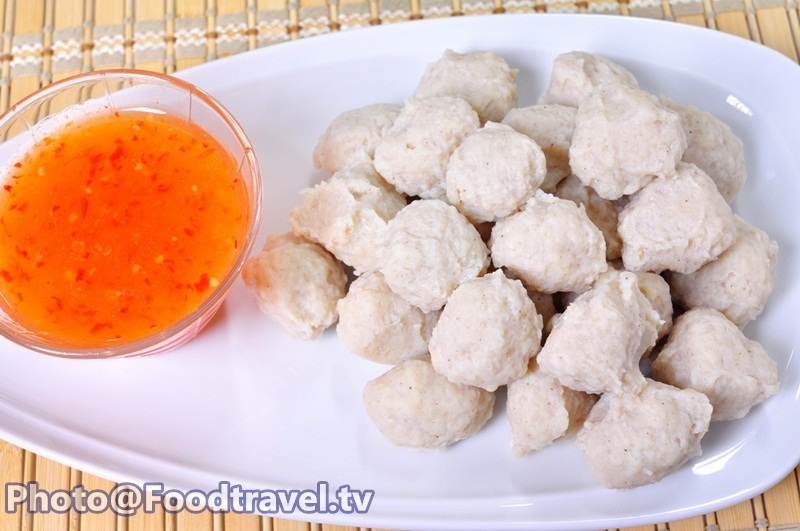 Chicken Ball - Easy to make by yourself and do not take the time for this menu. Can be your light meal or even you can serve with noodle kinds. 1. Chop the chicken then pounded them. 2. Mix all ingredients with pounded chicken except water. After that knead them and keep pouring water while knead the chicken for 10 minutes. 4. After 30 minutes knead them for another 5 minutes. Mold them like a ball and boil for 10 minutes do not use too hot water. 5. Boil until done and leave them cool by soaking cold water. Serve with chicken sauce.